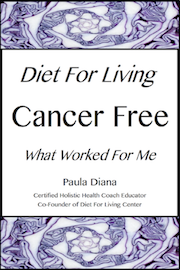 Houston, Texas Having spent 14 years in the nutrition industry as a Certified Health Coach and Nutritionist I was blown away with what I learned at Diet For Living School. I feel I now have more knowledge to reach out to more people and more tools to support my clients. I learned how Raw Foods support healing and more ways to grow my business! Paula, you did a wonderful job.